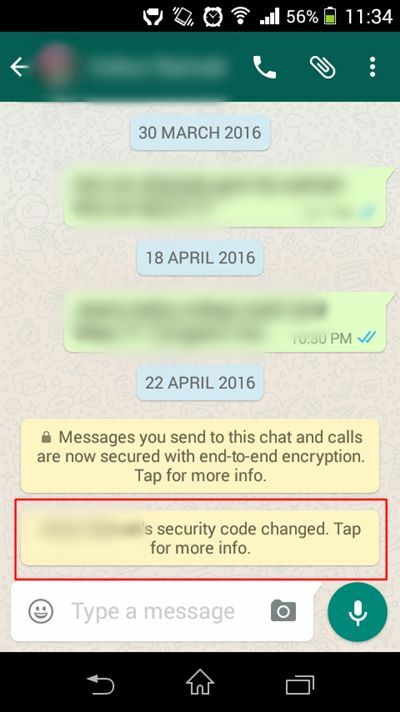 Recently WhatsApp came with the end-to-end encryption feature. Now messages, calls and files sent on WhatsApp are by default encrypted. To avail this security feature you should update the app to its latest version. After updating, encryption will be automatically activated. Now sometimes you may see a notification message in the chat that your "contact's security code changed". If you are seeing this message then you may be thinking that why does it appear in the chat. Did you do something wrong? Or does it signify that your WhatsApp encryption has stopped working. Well, whenever this notification appears in any chat section then this means that your friend or the person whom you are chatting with has re-installed WhatsApp. Which means that the old security key that was shared between you and your WhatsApp contact has changed. This key is only the visible version of the actual key that always remains a secret. The security code can be compared between two contacts either by scanning a QR code or matching the 60 digit number. If you are getting the "contact's security code changed" notification then you shouldn't worry. WhatsApp will automatically adapt the new security key and therefore your chats with other contacts will become encrypted again. However, if you want to confirm this action then you can scan the new security code. To scan the code follow the steps below. Go to profile information of that contact. Here tap 'Encryption'. A code will be generated. Now ask your friend to open your profile information on his/her WhatsApp. At this point both contacts should be displaying the QR code. 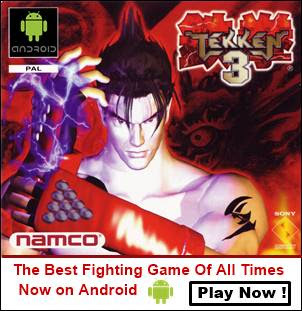 Now tap 'SCAN CODE' from any phone. If scanning is not possible then you can share the code. The user with whom you shared the code should match the 60 digit number. This code is unique for every WhatsApp contact and will not work for others.